Carlsbad Republican Women welcome Tony Krvaric, Chairman, Republican Party of San Diego County, on February 26th! On Tuesday, February 26th, the Carlsbad Republican Women Federated (CRWF) club proudly welcomes Tony Krvaric, Chairman, Republican Party of San Diego County, as our keynote speaker! 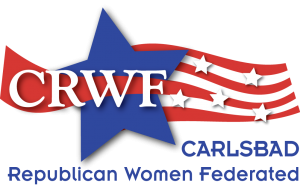 Tony Krvaric will present, “The Pivotal Role of Republican Women.” Please join CRWF to learn how you can get involved with our organization to ensure GOP success in 2020! February is also CRWF’s annual meeting to honor members and Past CRWF Presidents for their service to our club and its mission. Born and raised in Sweden, Tony Krvaric was inspired by Ronald Reagan’s optimism and unshakable belief in free enterprise, individual liberty and limited government, vowing to one day come to America and pursue his own American Dream. In 1992 he arrived in San Diego and started his own business in the computer industry. In 1998 he discovered his passion; helping individuals make smart financial decisions – and joined A.G. Edwards as a full service Financial Consultant. The first part of Tony Krvaric’s American Dream came true in May of 2003 when he was naturalized as an American citizen, calling it “one of the proudest days” of his life. 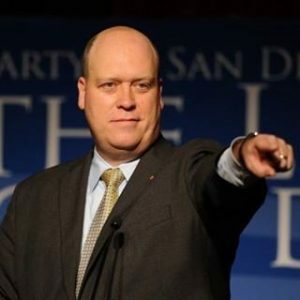 In 2007, Tony was elected Chairman of the Republican Party of San Diego County. Under his leadership, the Republican Party has continued to grow in its capacity to put Republican ideas into action by supporting and electing Republican candidates to office. Tony lives in the Scripps Ranch area of San Diego with his wife and their four children (“two boys, a marine, and a princess.”) The family attends St. Michael’s Catholic Church in Poway where Tony is a proud Brother Knight. Carlsbad Republican Women Federated general meetings are held the fourth Tuesday of the month at the Green Dragon Tavern and Museum, 6115 Paseo del Norte, Carlsbad, CA 92011. Doors open at 11:00 a.m. and the program begins at 11:30 a.m. Cost is $30 Members/$35 Non-members. For more information, contact Ann at (760) 415-7006 Please RSVP by Wednesday, February 20th. Check us out on Facebook as Carlsbad Republican Women Federated.